Voor de Nederlandse versie van de 2050magazine.com propositie, klik hier. 2050magazine.com is a publication that aims to bridge the gap between scientists and the crowd in the area of climate change and renewable energy. It is the only free-issue ‘magazine style’ publication in this field, bringing news articles with a twist and special reports on topics of particular interest. 2050 aims to raise EUR 20,000 to invest in staff and an IT platform upgrade. In exchange it offers a 10% equity stake plus some special perks for investors. Sign up on the ImpactCrowd platform or start investing now. 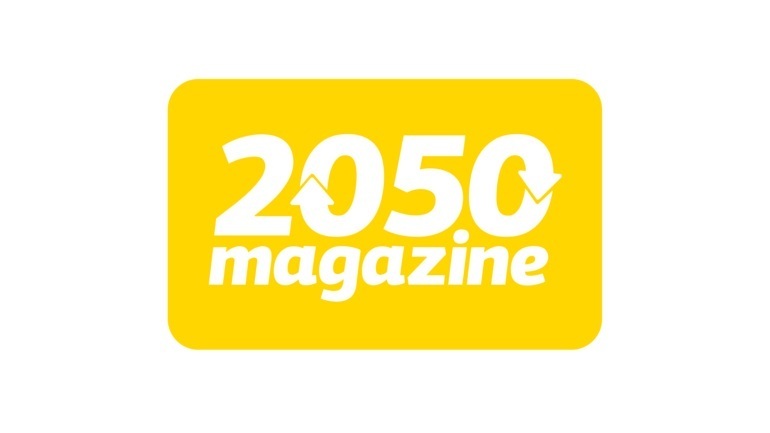 2050magazine.com is a free-issue publication that aims to help the changeover to renewable energy reaching its tipping point. It is the only free-issue ‘magazine style’ publication in this field, bringing news articles with a twist and special reports on topics of particular interest. 2050 targets a global audience. We aim for a readership of 500,000 by June 2013 and a readership of more than 2 million by June 2015. Our main target groups are both those people that are already active in the renewables and climate change field, as well as people not (yet) active but interested. We believe that this is a continuously increasing number of people. It is with this in mind that articles always offer an interesting perspective for readers with climate change experience, but are also written in a way that people not initiated in the climate change jargon can enjoy them. • We are teaming up with knowledge partners such as ECOFYS, The Rocky Mountain Institute and the Climate Group. We are also forging links with Universities such as IESE in Barcelona and the Delft University of Technology. These are both high profile partners with large presence and followings on social media, as well as more traditional distribution partners. Annual electronic book publications: We want to publish a series of accessible, easy-to-read electronic books on the subject of renewable energy and its related fields. 2050 is a digital magazine and won’t be printed. Key benefit of this is a reduced carbon footprint and no printing costs (the traditional Achilles Heel of most traditional magazine start-ups). 2050magazine currently has over 3,000 likes on Facebook, over 10,000 readers and is pretty close to 100,000 page views per month. These are great achievements given that our first issue was published in June 2012! We are about to close distribution and knowledge partnerships with large NGOs and important players in the climate change arena. The financials of an online publishing business are in essence pretty simple. Costs effectively consist of the people working on it, the cost of graphic design and IT, and the cost of content (visuals and text). Income is generated from selling advertising space in the magazine, selling special reports and potentially books that we are all working on at the moment. We have always had 3 phases in mind. The first one was to build up content (an online publication without a pipeline of content is really nothing), the second phase was focused on building up a readership and the third phase, which we have now started, was to generate income. 2. Additional costs are related to visuals, editorial content, IT, management of the social media etc. These gradually increase as well. 3. Income from advertising will come mainly from advertising in the magazine and the special issues, with rates going up with our increasing readership. At the moment we sell front pages of the special issues for EUR 500 and of the bi-monthly magazine for EUR 1,000 Euros. Ads inside the magazine will go for (a bit less. We also sell banners on our website. Furthermore, discussions about longer term sponsorships have been initiated. Joe Swain, Editor and Writer. Responsible for the content and the creative side of the venture. A solid track record in various magazines (i.e. Banter Magazine, The Expat, Asian Geographic, EL Magazine), and an accomplished writer. He has been active in the publishing industry for over a decade. 1. Why did you start a magazine? We believe that in this day and age, there is a need to bring knowledge to loads of people about climate change, renewables and energy efficiency in a new and interesting format. We believe that by making stories interesting but very accessible and good looking, we can transfer information in a very effective way. 2. Will you really make money? Yes. We truly believe that we can achieve a readership of millions of people. If you have a readership that large, there is no way that you will not make any money. 3. Are you a believer in the climate change hoax? We believe that this term is not relevant anymore. Climate Change exists and is real. However, even if this were not the case, please read the Rocky Mountains Institute book called Re-inventing fire. Even if you are not a believer, it still makes sense to be pro-active. 4. Do you switch the lights off when you go to bed? Indeed, we do. However, much more important is that we are talking about paradigm shifts. Of course, every little helps. But we can achieve a lot more in ways that do not impact our day-to-day life. 5. Are we not screwed anyway? Not yet, that is why we approach everything in such a positive way. Solutions exist, they are here and we can use them Now. We just need to be a bit more innovative. Also have a look at planetbventures.com, the website of one of our shareholders.